Yesterday we had our Nuchal Translucency Screening, to look for different chromosomal abnormalities. This particular screening was testing for the possibility Trisomy 21, Trisomy 13 and Trisomy 18, meaning there would be a 3rd chromosome on the 13th, 18th and 21st set of chromosomes. Although my age poses very little risk for these chromosomal abnormalities (about .02%) we are still waiting for the results of the screening. During the screening they do genetic counseling, a blood draw and an ultrasound. This ultrasound was more in depth and with a higher level ultrasound tech. 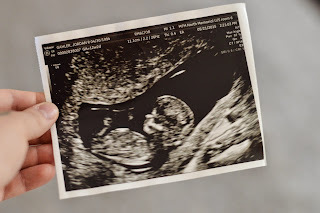 My midwife had told me that we would go by the date that this ultrasound tech gave us since it was a better ultrasound. We finally have an official due date of December 1st, 2015 putting me at 12 weeks and 3 days pregnant! Although this is still slightly off from the dates that I could have conceived, I am feeling pretty confident in this date! After all, this little munchkin will come whenever he or she is ready to! 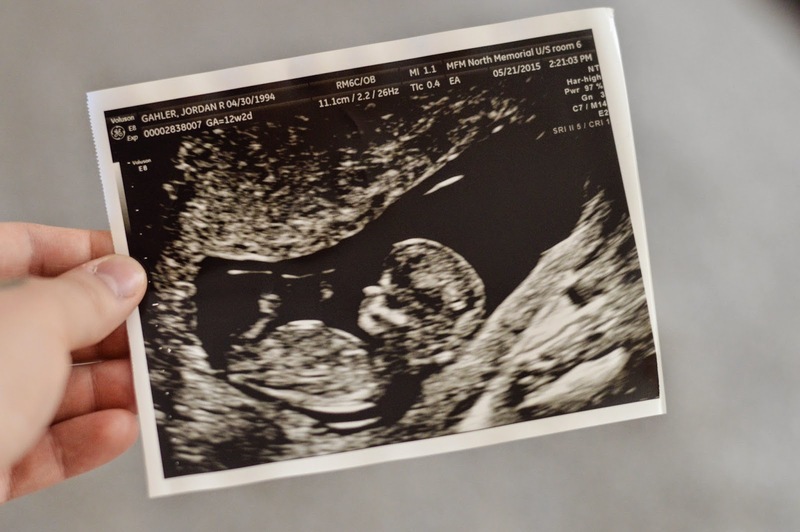 Unfortunately we weren't able to find out the gender through this genetic screening like we had hoped, but we are hoping to be able to find out the gender at 16 weeks! 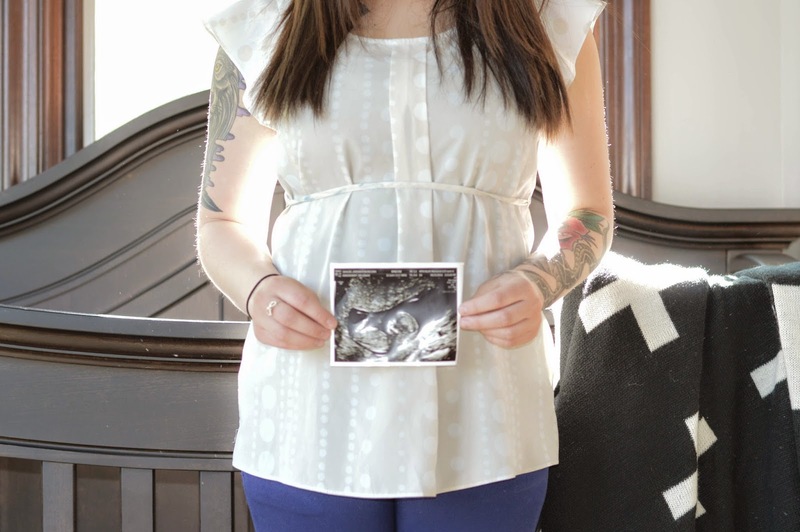 (We are just hoping that this little one cooperates with the ultrasound tech.) We are so anxious and excited to be able to start preparing for the arrival of our second little bundle of joy! Ok, maybe its me thats a little bit more excited to start preparing ... and by preparing I mean buy a bunch of clothes! Overall, our little one looked great and was moving around a bunch! He/she was kicking their feet all over the place! I haven't felt definite movements yet, but I have been able to notice what side Baby B/Baby K is on sometimes! As far as gender thoughts go, my head is telling me girl but my heart is telling me boy! I think I secretly would love to have a girl to dress up, but I also don't think I'm capable of making girls! I feel like I am destined the be the mom of all boys! According to some of the old wives tales, I am pretty 50/50! I know its all just a bunch of crazy fun ways for moms to drive themselves crazy, so we will just have to not so patiently wait and see!